Pests of all sorts and sizes can inadvertently make their way into a house and cause an infestation. Some pests find their way indoors mistakenly, while others are intentionally seeking shelter and food sources. Pest control can be costly and sometimes invasive if a problem presents. While some infestations occur despite a homeowner's best efforts, there are several things you can do to deter pests. Here are some few tips for effective pest control. 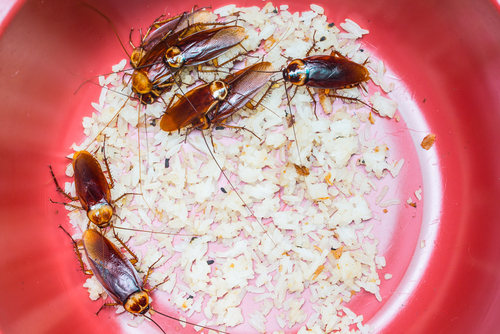 The number one thing you can do to deter common pests from your home is to keep the all places clean, especially the kitchen. Food is the primary reason any pest will invade a home. Ants, cockroaches, and various other insects, as well as mice, are all gluttons for an easy meal. Avoid leaving food sources in easy reach on your counters, in your sink, or exposed in your trash cans. If you do leave food out, such as leftover cake, fruit, or bread, be sure to cover it or seal it in an airtight container. Be sure to routinely clean areas where food is prepared and served as well. Even the smallest of crumbs left on the floor can pique a pest's interest and serve as a food source. Avoid leaving dishes that haven't been rinsed in the sink and make sure to seal foods that are stored in cupboards properly. Reducing the availability and access to food sources is the best deterrent. Even with food sources eliminated, there are other conditions that some pests find favorable. Dark, damp spaces are ideal breeding grounds for some insects. Make sure to keep wet towels and other linens off the floor and keep areas underneath sinks clean and dry. 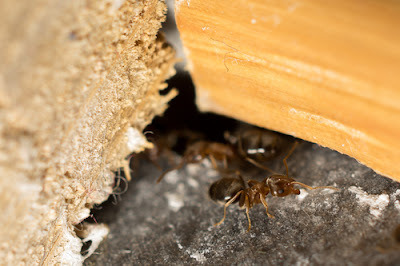 Always store items in attics or basements in airtight containers, as even paper or cardboard can act as a food or nesting source for some pests. To avoid parasitic insects such as fleas or ticks, practice good hygiene. When you've been outside, especially if you've walked through high grass or weedy areas, wipe the bottoms of your shoes on a mat and remove them before entering the house. Use a rag to wipe off your ankles and lower legs to brush off any small insects that may have attached themselves. If you have pets, brush and inspect them frequently for fleas and ticks. Some parasitic insects attach themselves to a variety of objects. Always wash clothes when you bring them home, inspect any linen or fabric item you bring in that wasn't packaged, and be sure to wash or clean all clothing and baggage after returning from a trip. These small measures can prevent inadvertently introducing a hitchhiking pest into your home. Another way to deter pests is to make the entrance into the home more difficult. Seal up any cracks or holes that provide access from the outside. Cracks around windows, doors, and other areas of the home that are not sealed make ideal entrances for a variety of pests. Maintain these areas by sealing with sealant or steel wool and expanding foam, and you will reduce the chances of any unwanted guest gaining entrance. Treating the foundation around your home and doors, in basements, crawlspaces, and attics with pest control products is a good deterrent. Even if you don't like the idea of using pesticides, there are a variety of earth-friendly options that work as well. Check with a pest control service for available products. Since pests come from the outside in, giving attention to the outdoors is warranted. Don't let high grasses or weeds grow up around the home, and keep trash and brush to a minimum. Avoid leaving standing water in containers or other areas around your home as well. If you have water features with no aquatic life, consider chlorinating the water. Pests are a nuisance in any place and can be hazardous to health and destructive to buildings. There are pests in every place with some places having more than others while some come in different species based on the location. No matter where you are, pest control will have to be part of your plan especially if you are living there for a long time. Different measures are applied depending on the type of pests found, usage of building and intensity of pests infestation. The best practice is always to have a regular check up on your property to make an early detection of pests and engage a pest control company before the situation gets out of hand. Pest control services are common in many areas, and you don't have to drive so far or make a lengthy internet search to find pest control providers. 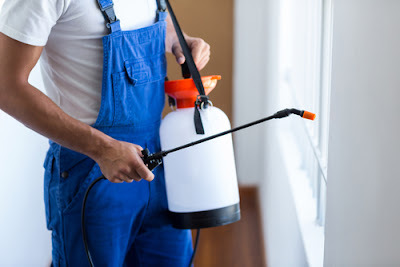 One of the questions people grapple with is why you need a pest control company to do such mundane tasks as spraying flies, wasps, bed bugs, ants or any other pest. To many, the sight of a pest in the house is an opportunity to try the popular insecticide being advertised on TV or billboards. However, though spraying is done to the satisfaction of the house owner, the problem remains unresolved. Pests are very insidious in their operations, movement, and organization. By the time they get noticed, they will normally have been there for at least a month or more. They hide in places that are hard to reach, and any spraying by a non-professional will in most cases end up just eliminating a small percentage of the pests. The rest will remain to breed and resurface in bigger numbers and in more places than before. That is why you should always engage a pest control company when you notice a pest or pests that need to be eliminated. The process of pest control begins with an evaluation of the house or premises by a well-trained person. This person must also be informed of the type of pests available in the area. After evaluation, they will be in a position to take the most appropriate pest control and ensure all pests are eliminated. They ensure their chemicals reach every hiding place of pests and kill the pests and their eggs together. An effective pest control service should leave you free of the pests and give an appropriate guarantee on the time you need to require another service. A good pest control company should keep in touch with you even after the service to monitor the success of their work and ensure you remain secure and safe.